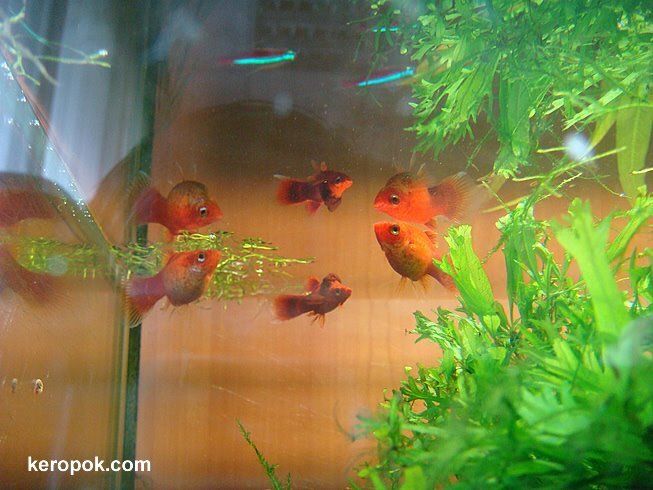 These are 3 orange fishes that co-exist with many others in this little tank. You see 6 because some are reflections! Can you also see the neon coloured fish too? Think they are called tetras. I wonder what it is about fish. Wherever there is a fish tank, people will always come by and stare at the fish. The orange ones are called Platies and the neon one is Neon Tetra. The plants really make their colors stand out.